Bamboo, sustainability, renewable resources, labour based technology, community development. Growing population both in total value and in urban centres make completely necessary to be consequent with the concept of sustainability and efficient with the way resources are used, based on their availability and their life cycle. Bamboo, a material used by mankind since its origins but in recent times eclipsed by materials invented since the industrial revolution, seems to be a feasible solution for the problem of access to housing due to how renewable and how spread it is all over the world, being almost overlapped its natural growing areas with the most populated regions of the planet. Moreover, physical-mechanical properties of bamboo are comparable to high-performance modern materials as long as it is managed properly, together with the possibility of employment creation and community development as a result of implementing a kind of industry based on labour based technology and which can be really green. In this paper, strengths and weaknesses of bamboo regarding housing will be exposed from different perspectives concerning sustainability: social, economical and environmental. It is evident that we are facing times of huge changes. Although not possible to point out an exact date, two major events are shifting the paradigm of the human being living on this planet. First of all, the shift from rural to urban: since the invention of agriculture, world population has increased, little by little, and exponentially since the industrial revolution (Diamond 1997). Until this century, rural population had been greater than urban population. Recently, however, urban has eclipsed rural population (Davis 2006). Therefore, as the environmental impact of human settlements varies dramatically when shifts from a rural to an urban context, present society is having an unprecedented impact in the biosphere, which we are a part of. This impact might be positive, in terms of promoting and enhancing biodiversity, for instance, but reality is closer to the opposite scenario. The second factor is population in absolute value: we are nearing a world population of seven billion. We are more than ever and more urban than rural. According to Lerner (2005), 75% of CO2 emissions come from cities. This is the reason why, if there is a hope, it must be in the city. The current model of development is inherited from old models which succeed in the economy of some western countries in the past and now, its values, implementation and collateral circumstances are replicated all over the world, under no other control that the one set up in the very beginning of its formulation: ‘the invisible hand of the market’, in words of Adam Smith (Rist 1997). It is widely accepted that a change is needed, not only in terms of population, scientists and institutions, but also by international conventions. The ‘cradle to cradle’ approach seems to be the most convenient path to follow, reconsidering the way we do things , not only as a linear process of production and consumption, but as an holistic life cycle assessment taking into account where the ingredients for the production come from and what happens to them while being used or consumed and afterwards (McDonough and Braungart 2002). Resources are, of course, a key issue in the development of societies and the way they are managed is in the end what makes us survive or fail (Diamond 2005). In order to not keep on exporting models created from western thinking to different contexts, which have little or nothing to be with the origin of the model, it is crucial to know where on this planet people live and then be aware of the resources available there. The top twenty countries in the world population ranking make up 69.53% of the total: almost 70% of worldwide population hosted by a few countries (see figure 1). Moreover, if we narrow down, half of the population (46.79%) is the sum of the top five countries, in order: China, India, USA, Indonesia and Brazil. Figure 1: Top twenty most populated countries. Source: Wikimedia Commons. To consider appropriate alternatives to the petrol based industry we have experienced for the last century can no longer be delayed. Fortunately, the reports of the Club of Rome have changed its apocalyptical former discourse to a more optimistic and enthusiastic one: The Blue Economy (Pauli 2010) summarizes a series of initiatives to generate income and jobs in an environmentally friendly and context based manner. One of the ideas suggested by Gunter Pauli is to build with bamboo. Bamboo is highly renewable due to its growing speed and widely spread throughout the world (Europe and Antarctica are the only continents with no native bamboo), as well as resilient to harsh climatic and geographical conditions, to name a few. However, ‘bamboo’ includes over one thousand different species, while only around fifty are suitable for construction purposes (McClure 1953) using one technique or another. 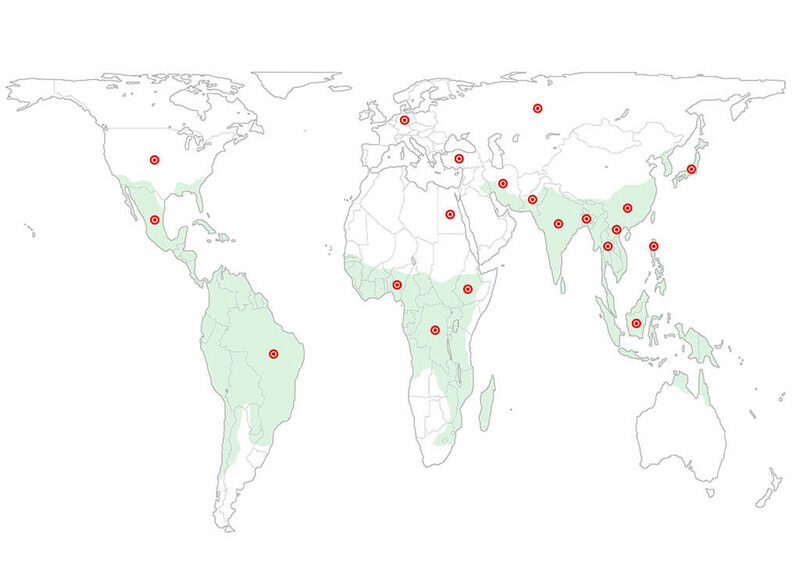 If the map of the natural growing areas and the most populated countries are overlapped, one notices that 16 out of 20 countries host bamboo within their borders, reaching two thirds of world population. The fact of being a national resource for so many people is crucial due to the impact that shipping costs and tax on overseas products are usually included in their selling price and therefore in their affordability by potential customers. Figure 2: Natural growing bamboo areas. Source: Marden, 1980. Since a person takes part in a process, contributing with either intellectual (brainstorming, discussing, planning, etc.) or physical (from carrying stuff to doing skill required tasks and so on) that person becomes aware of the effort of that particular work and applies a value to it. Quoting John Turner (1976): ‘When dwellers control the major decisions and are free to make their own contributions in the design, construction, or management of their housing, both this process and the environmental produced stimulate individual and social well-being.’ Here comes the confrontation between top-down planning and bottom-up approaches. The conflict is clear: the most common case is that the population does not recognize their aims, often not even their basic needs, in governmental initiatives (Lerner 2005). At the same time, the people in power consider the population not educated or informed enough to make decisions concerning their own lives. Governments, as well as international institutions, have failed in reaching the goal of providing affordable housing with one program after the next. However, it seems to be a political decision: in communist economies, housing was simply provided (redundant products based on available technology, quickly built with inexpensive materials) by the central government, while in capitalist economies housing is seen as a market product with the potential speculation associated. Today geopolitics are more complex than this simple duality and the challenge is there: corporations oriented or people oriented policies. This issue has been addressed regarding public transport (Peñalosa 2008): if a car may transport five passengers and a bus thirty, buses should have six times the priority over cars when planning traffic in a democracy. Therefore, a democratic way of policy making, should promote and ease those materials and techniques inherently more affordable by most of the people, instead of enabling certain market rates for existing lobbies. Going back to Turner, the house is more a process than a product: companies’ expertise is to develop and sell products, while families deal with processes of variable timespan. Ready made houses, built by professionals with no active participation of the future dwellers work well as a market product. On the other hand, incremental housing using inexpensive building technologies suits better the base economies of the vast majority of worldwide population. 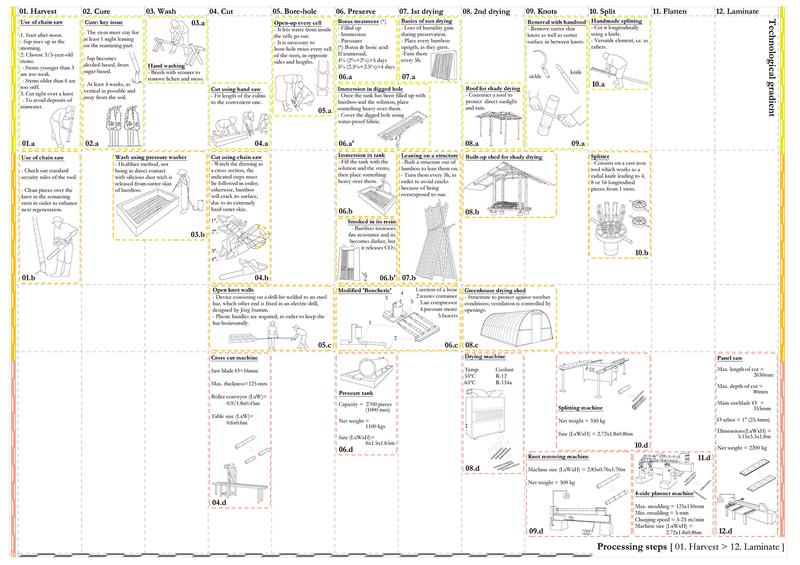 A participatory process in a housing project makes the project more likely to succeed in satisfying people. There is a way to maximize this: it consists on building capacity through the construction process, not only regarding the organization of a certain community, but also training the future dwellers in particular building techniques to be practiced by them as a source of future income. Mixed use urban planning will give dwellers the chance to run their own businesses. Moreover, if capacity building regarding concrete skill-training happens while that urban development takes place, the training gained might mean a source of income which did not exist before; housing as a process and building as a tool for development. According to E.F. Schumacher (1973), industry uses the natural capital as if it were income items: fossil fuels generation is not a competence of mankind but we are using them as if they were highly renewable. To date, the building industry is not ruled by petrol based products, as is the fuel industry. Nevertheless, typical elements for products in the building industry require heavy industrial equipment and amounts of energy and financial capital that are far from being affordable by most of the people: this is the case of cement and steel. In addition to this, when renewable materials are used, such as timber, the intensity of exploiting those resources is hardly controlled by applicable policy and it leads to overexploitation (Diamond 2005). Therefore, it is a key issue: what are the buildings made out of, how renewable are the raw materials and what industrial process do they need to be fabricated. In summary, a proper ‘Life Cycle Assesment’ (McDonough and Braungart 2002), and then acting in consequence to minimize the impact of non-renewable materials and of those which require massive use of fossil fuels for their production. It seems extremely challenging to meet social, economical and environmental requirements at the same time. However, there are industries to be developed (Pauli 2010) that reflect a turning point in the building industry and there is one especially remarkable among them: raw bamboo. Laminated bamboo and bamboo composites are products about to take off in global markets, but on the other hand, the use of round pole raw bamboo is limited to very few relatively small regions where traditional knowledge has survived the spread of modern materials. Widespread, highly renewable, physical-mechanical behaviour and intense manual labour required are some of the characteristics that give bamboo a huge potential, although it has some limitations and challenges to overcome that will be explained later. The generalized implementation of this material could mean, in words of Schumacher (1973): ‘(…) evolution of small-scale technology, relatively non-violent, with a human face’. First of all, the question is: Who is an architect? His or her background should include a wide education, including historic and socio-economic aspects of human societies. In more practical terms, considering legal issues, it is a person who holds a certain degree which allows him or her to sign projects, providing technical proof based on calculations regarding matters of structural security, thermal comfort, technical services and conditions of location and form that fulfill the requirements of the regulations applicable. In many places, however, there are no regulations and if there are, the population in general is not aware of them or can not meet their conditions for a number of reasons, ranging from lack of resources to inaccessibility to professionals in the field. The common rule is that housing already means a huge investment taking into account only the access to land, the purchase of the materials and the labour cost. Therefore, the option of hiring an architect who designs, calculates, signs and legalizes a housing project is far from feasible in most cases. If instead of hiring an architect to do a project for a private house we consider the possibility of consultants on all the technical aspects concerning the construction process, from extensions of existing housing units to ex-novo urban developments, then that option becomes more realistic. It is not a matter of telling people what to do, but to advice them in how to do it, explaining clearly the restrictions from the physical and legal perspectives. ‘Do-it-yourself’ approaches tend to be successful when applied properly simply because they enhance what it is being done instead of implementing outside elements (Andersson et al 1986). The other key issue is how to organize the different tasks. The organization of tasks to be done needs to be based on evidence and experience assimilated by the architect. The increasing variety of materials available in the marketplace make this more difficult, but how appropriate a certain technology is in a particular context is something to be judged by the architect who should know the possibilities and limitations, not only of industrial products, but also of the material resources available (Stulz and Mukerji 1993) from cultural, environmental, technical and economic perspectives before deciding the most convenient solution to adopt. The potential benefits of using bamboo in a systematic way have already been exposed both from a global and from a local perspective. Obviously this material has limitations that should be considered as well as its benefits in order to use it properly (Janssen 1995). Of course it is a must not to fall victim to myths and be honest and responsible with the commitment that the profession has with the society in general and with every person in particular. A huge obstacle which limits bamboo as building material, especially with structural endings, is the preconceived idea that bamboo has a short life span. It is completely understandable because of the fact that its wide availability makes it accessible even for the poorest people and this leads to 2 different factors contributing to that idea. First, it has been categorized as ‘the timber of the poor’, despite the fact that it is a grass and not a tree, so most people who have the possibility of purchasing any other material will do it, giving priority to concrete because in the same way that bamboo is associated with poverty, concrete is associated with wealth. And second, if these grasses (all the bamboo species belong to gramineae family, so they are not trees) are not handled properly before being used, they will easily attract insects, mold and fungi. Therefore, it does not last for more than a few years, without proper treatment. Preservation, as said before, is key to getting a long-lasting, high quality material. This does not mean that treatment with chemical products is required: some precolombian cultures in Latin America used bamboo in their constructions, some of them dating back several centuries with curing being the only treatment (Hidalgo-López, 2003). In south-eastern Asia bamboo has been treated only by soaking in running water before being used in the construction of permanent dwellings or even bridges (Dunkelberg, 1985). Those processes, however, required months; today, some chemical products may make bamboo ready and well preserved in a matter of hours. Another obstacle is the mistake of considering bamboo as a timber and therefore using it as if it were. Of course, there are some similarities between hardwoods and bamboos that make it possible to apply traditional carpentry techniques, but the natural characteristics of bamboo demand a particular way of designing and working with it (see Figure 3). There are several differences between wood and bamboo. Below are explained some of : while wood trunks are basicly solid cylinders, the anatomy of bamboo culms is commonly a hollow cylinder reinforced by transversal knots periodically; the strongest part of a hardwood trunk is its core but the strongest part of a bamboo culm is the outer part of its walls. 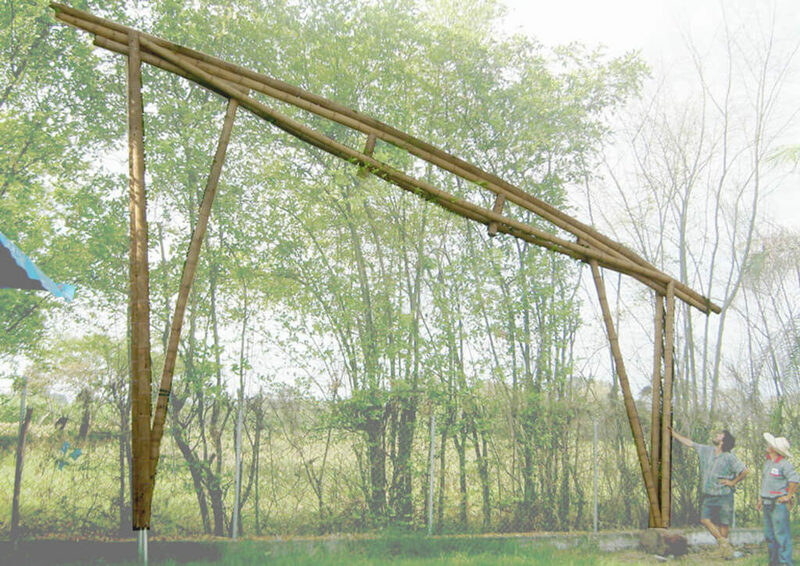 Figure 3: ‘Fish truss’ by Jörg Stamm. Photograph by the author. The natural curvature mentioned could be considered as an asset to achieve more attractive and organic designs but, in fact, is an additional obstacle for 2 primary reasons. First, calculation methods used in structural engineering, both linear and non-linear, were thought to consider straight, finite elements; therefore, when considering curved elements and, moreover, elements composed of several sub-elements, common calculation methods are required to be adapted to every case in a creative and accurate way. Second, to organize an efficient building site, considering that there are not 2 bamboo culms equal to each other, demands a broad experience in working with this material. To finish, with more knowledge about the basics of using bamboo in construction (Janssen 1995), together with the study of scientific research done on bamboo, we have reached a milestone in implementing bamboo as a reliable construction material. Following (Figure 4) is shown an approach to classify the processes before use (horizontal axis) related to the level of technology available (vertical axis), in the so-called ‘technological matrix’ for bamboo in construction. The physical-mechanical properties of some species of bamboo are comparable to high-performance modern materials. However, there are not too many examples where the management and use of bamboo is good enough to show off these qualities for the industry. Maybe the most remarkable of those experiences related to the housing sector has been the one which took place in Costa Rica. In 1987 the National Bamboo Project was initiatied in Costa Rica with the financial support of the United Nations Development Programme (UNDP), the United Nations Human Settlements Programme (UN-HABITAT) and the Dutch national government with the aim of addressing the lack of housing for rural population, with the support of the Costa Rican Ministry of Housing and Human Settlements. The pilot stage of the project started in 1988 and lasted until 1991 and the second stage of the project was carried out from 1991 to 1994. Later on, in 1995, the project ended up creating Funbambu, a foundation which was functioning until 1999. The pilot project and the second stage was awarded in 1996 with the ‘Dubai International Award for Best Practices’. The goal of the project, besides overcoming rural low-cost housing demand, was to provide employment based on the use of local and renewable resources. According to Janssen (1995), during that period 1991-1994, in addition to the construction of 296 dwellings, the planting of 179 Ha with bamboo and the training of 400 family members plus 60 technicians, the project generated its own funds, reaching the amount of 1,600,000 USD. The training carried out was related to 4 specific areas: first, planting and plantation management; second, preservation and drying; third, construction of dwellings and furniture making; and fourth, communal activity and directing small scale enterprises. This can still be noticed today, in the experimental planning and plantation management centre called ‘Los Diamantes’ in Guapiles as well as in small and medium private enterprises created by people trained to produce and sell either furniture pieces or construction materials. Therefore, 3 different income generating sources may be taken into account: the material result of the project, the heritage of the project in the form of the foundation and the businesses created later on. Bamboo is a widely available and high performing material that has been underestimated to date by western architects and engineers, with of course some remarkable exceptions, due to the lack of knowledge and practical experience. 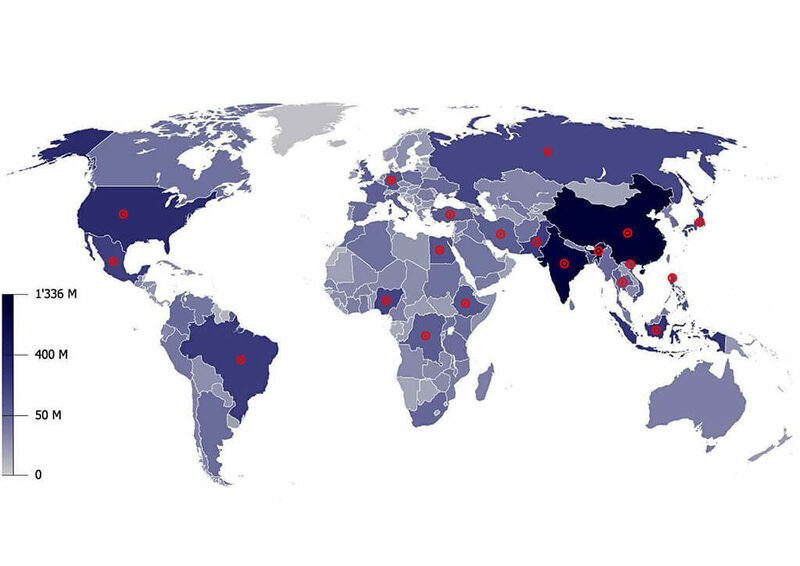 Nevertheless, the potential impact of this material handled properly could be huge, considering how widespread are its natural growing areas overlapping the most populated regions of the world. When used locally, bamboo should be considered as one of the most sustainable materials from different perspectives. First socially, because its characteristics allow for intensive labour based technology instead of machinery based technology, so it is likely to promote communal enterprises. Second economically, as its availability and relative ease of handling make it feasible to create added value products. And third, environmentally, being one of the most renewable resources therefore becoming an income item, with the possibility of replacing the use of natural capital as hardwood forests are. In summary, the concept of integrated sustainability could be applied to this material as long as it is handled properly. It is a must to consider a change in the paradigm of the architect’s profession, no longer following the idea of the illuminated genius, but considering him or her as a technician with wide knowledge of science, history and culture, with the task of giving teaching advice to those who want to go through building works and even taking an active part in environmental advocacy. In addition to its huge potential, awareness of the limitations of bamboo should be appreciated, considering its similarities but also its differences to hardwood, not to make the mistake of working with it as if it were timber. However, correct management and use may lead to a high performance material, equal to modern engineered materials in its physical-mechanical properties. Costa Rica was a reference project regarding the handling of bamboo, from planting and management of plantations, to building low-cost housing and making furniture. That experience, in addition to addressing a demand at that time and giving value to a local resource, lead to businesses that exist today, more than 20 years after the completion of the project. Andersson, L., Arnsby, L., Johansson B., Pering, C. and Åstrand, J. 1986 A Solution to Rural Housing Problems. Experience from a Pilot Project in Tunisia Based on Organised Do-It-Yourself Building. Swedish Association for Development of Low-Cost Housing (SADEL). ISBN 91-86596-08-X. 2006 Planet of Slums: Urban Involution and the Informal Working Class. New York. Verso. ISBN 1 84467 022 8. 1997 Guns, Germs and Steel: The Fates of Human Societies. W.W.Norton & Co. ISBN 0 393 06131 0. 2005 Collapse: How Societies Choose to Fail or Succeed. New York: Viking Books. ISBN 1 58663 863 7. 1985 Bamboo as a Building Material. Institute for Lightweight Structures (Ed.) IL31. Bamboo. Stuttgart, University of Stuttgart. 1995 Building with Bamboo: a Handbook. Intermediate Technology Publications. ISBN 9781853392030. 2005 Acupuntura Urbana. Iaac – Institut d’Arquitectura Avançada de Catalunya. Barcelona. 1980 Bamboo: The Giant Grass. Article in the Offical Journal of the National Geographic Society, Vol.158, Nº4. Washington DC. 1953 Bamboo as a Building Material. Washington, D.C.: US Department of Agriculture, Foreign Agriculture Service. 2002 Cradle to Cradle: Remaking the Way We Make Things. New York: North Point Press. ISBN 0 86547 587 3. 2010 The Blue Economy. 10 Years, 100 Innovations, 1000 million jobs. Report to the Club of Rome. Paradigm Publications. ISBN 97809122111902. 2008 Politics, Power, Cities. The Endless City. Phaidon. 1997 The History of Development: From Western Origins to Global Faith. New York and London: Zed Books. ISBN 1 84467 022 8. 1973 Small is Beautiful: A Study of Economics as if People Mattered. Blond & Briggs. ISBN 978 0 06 091630 5. 1993 Appropiate Building Materials. SKAT. ISBN 3 908001 44 7. 1976 Housing by People: Towards Autonomy in Building Environments. Marion Boyars.